Khabib Nurmagomedov has been making media rounds following his trip to Dubai. Nurmagomedov is the reigning Ultimate Fighting Championship (UFC) lightweight title holder, but he isn’t expected to return until at least September. As a result, featherweight champion Max Holloway and Dustin Poirier will collide on April 13 to determine the interim UFC lightweight title holder. “The Eagle” is expected to meet the winner. Nurmagomedov’s suspension under the Nevada State Athletic Commission (NSAC) is set to end in July. “The Eagle” won’t be competing right away, however. 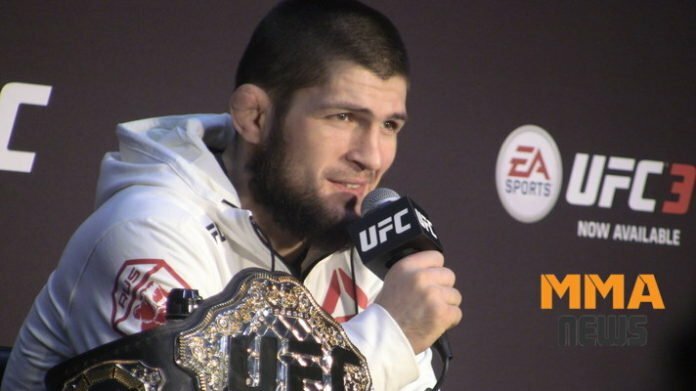 Any chance the UFC books a marquee title bout with Khabib Nurmagomedov in Abu Dhabi?